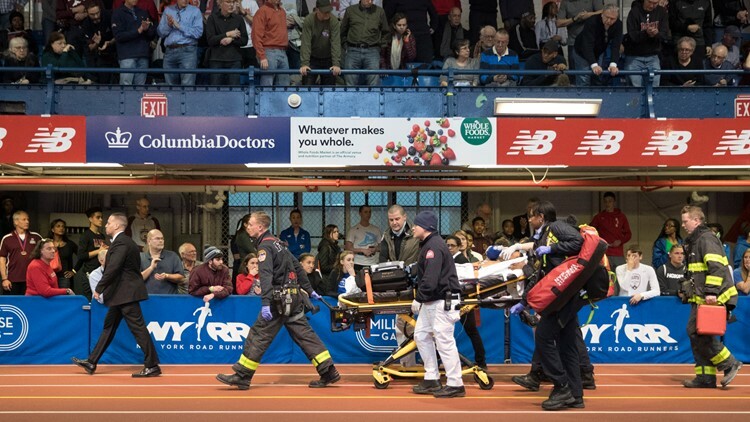 NEW YORK — Former Arkansas All-American, Kemoy Campbell, has been hospitalized after he collapsed off the track after running in the men’s 3,000 meters at the 2019 Millrose Games in New York City. According to Sports Illustrated, Campbell was placed in a "medically-induced coma for 48 hours. He has a pulse and was breathing with assistance. Doctors were still working to determine what caused the collapse." Deadspin posted a video of the collapse.